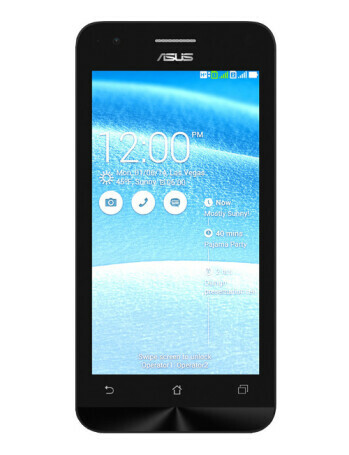 The Asus ZenFone C is a slightly larger successor to ZenFone 4. Running Android 4.4.4 KitKat with ZenUI on top, the ZenFone C sports a 4.5-inch display with 480 x 854 pixels, and is powered by a dual-core Intel Atom Z2520 processor clocked at 1.2 GHz. Other features include a 5 MP rear camera, VGA front-facing camera, 1 GB of RAM, and 8 GB of expandable internal memory. Measuring 136.5 x 67 x 10.9 mm and weighing 149 grams, the smartphone comes with a 2100 mAh battery.